“The undersigned inhabitants of Boerne and neighbourhood oblige themselves to the payment of the following amounts set opposite to their resp. names on the purpose to survey, to fence in etc. a common burring ground, lieing on the San Antonio-Fredericksburg Road above Mr. Joe Saner’s place, which has been granted by Hon. Adam Vogt. Everybody, who pays $2.00 in specie, will be entitled to a space of 9 feet long and 4 1/2 feet wide for reserved or families graves. A total of $178.00 was collected by H. G. Froebel. (Boerne, Kendall County, Texas). 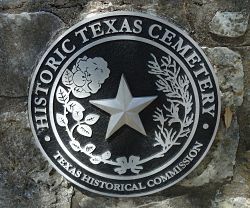 Historic Texas Cemetery marker; personally read 2011. Rosa’s death certificate states she died of typhoid fever which she contracted in Boerne, Texas (yikes) and her father’s name was Bergman and mother maiden’s name was Ohnesorge. Riebe Undertakers prepared the body for burial and sent it to Boerne. Her name on the death certificate is Mrs. Rosie Dietert. Miss Alma Dietert of 427 Montana provided the information. It is amazing how much information I gathered about Rosa ‘Rosie” Bergmann Dietert from four small pieces of paper! Now on to census records, San Antonio City Directories, and descendants. I wonder if there was a typhoid outbreak in Boerne in 1918. Rosa is Adalbertha Bergmann Adam’s sister and the wife of Wilhelm Dietert. Dietert, Rosa Bergmann Obituary. Boerne Star, 1918. Dietert, Rosa Bergmann Funeral Notice, July 1918. Dietert, Rosa Bergmann Obituary, “Mrs. Rosa Dietert Dead” San Antonio, 1918. Texas. Texas State Board of Health, death certificate no. 23564, Mrs. Rosie Dietert (1918);Bureau of Vital Statistics, Austin. 1900 U.S. census, Justice Precinct 1, Kendall, Texas, population schedule. enumeration district (ED) 38, p. 13A, Joseph Dienger; NARA microfilm publication T623, roll 1651. Boerne Cemetery (Boerne, Kendall County, Texas). Elsie Dienger and Josephine Dienger Bergmann marker; personally read 2011. Bertha is the granddaughter of Joseph and Theresia Bergmann and the daughter of Heinrich and Amalia Bergmann Dietert. Boerne Cemetery (Boerne, Kendall County, Texas). Bertha and Ludwig Farbra marker; personally read 2011. Since the temperature was below 100 degrees today, I decided to visit the Boerne Cemetery. I wanted to find the graves of Adalbertha’s siblings.In 1867, Adam Vogt deeded the land to the city to create the Boerne Cemetery. Conrad Adam purchased his plots in August, 1867, as many of the early settlers did. Conrad and Adalbertha tombstones are the white marble stones. Kathinka Toepperwein, their oldest daughter, is buried next to them. To the left, under some huge oak trees, I discovered Adalbertha’s sister Amalie Bergmann Dietert! 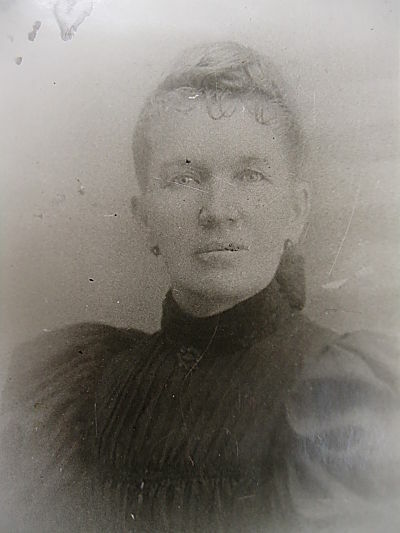 Rosa Bergmann Dietert was near her sister Amalie. Anton Bergmann, their brother, was buried in another section and was fairly easy to find. Success! I found all three! There is one more sibling Johanna Bergmann Toepperwein. She is buried in San Antonio. Boerne Cemetery (Boerne, Kendall County, Texas). Amalie Bergmann Dietert, Rosa Bergmann Dietert, Anton Bergmann marker; personally read, 2011. 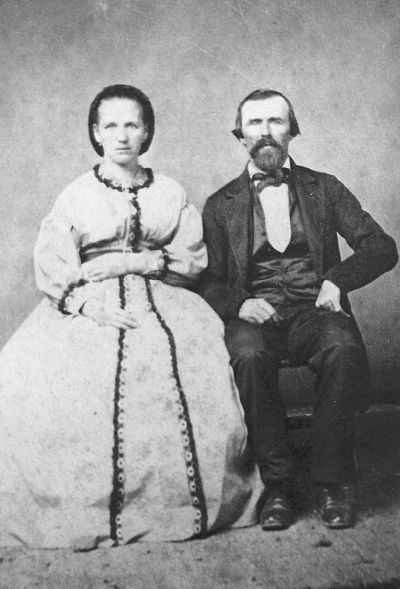 I don’t know very much about my 3rd great-grandparents, Joseph and Theresia Ohnesorge Bergmann. They arrived in Galveston on the ship Texas on 12 June 1853. Their destination was Bexar County. In New Homes in a New Land, Joseph Bergmann from Reichenberg, Bohemia arrived with 11 persons in his group. I have 7 accounted for and possibly one more named Gustav, that’s a total of 8. Who are the other 3?? ?